This system replaces the TLS2200. The BMP®61 label printer is designed for quick and efficient identification of wires, cables, components and many other applications. 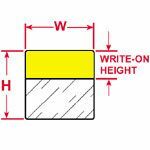 Manufactured with high performance materials that can handle the toughest industrial identification applications. 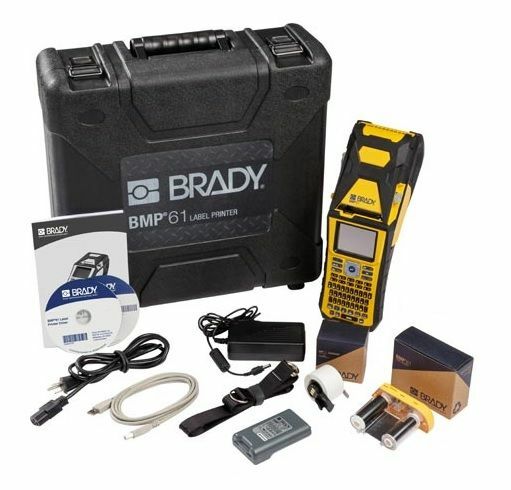 The BMP61 printer is rugged and reliable in field as well as a dependable workhorse in the shop. It features multiple user interfaces, touch screen capabilities and a variety of ways to connect, manage and save your data. Simple user interface with easy menu, curser and label navigation. Large, color touch-screen display to see exactly what the label is going to look like before it’s printed. Easy material loading with wide cover opening and large material bay. Intuitive typing with QWERTY style keypad (AZERTY, QWERTZ, CYRILLIC), and effectively sized and spaced keys to reduce typing errors. Variety of application options, including PermaSleeve® wire marking sleeves, self-laminating labels, voice & datacomm ID, safety labels, general ID and more. 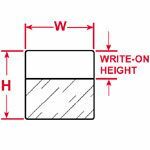 Die-cut, continuous & custom label supplies up to 2” wide (51mm) and designed for high-performance. Crisp, clear labels in small fonts to fit on your smallest wires and product ID materials, thanks to a 300 dpi print head. Data connectivity with a USB 2.0 port (Type A and B) and a USB flash drive users can import and export label files, lists and graphics. Industrial, rugged design with rubber bumpers and tested to survive a four-foot drop. 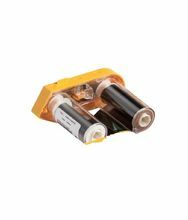 Power options include either a rechargeable NiMH battery or AC power to keep you printing wherever you go. 2-year manufacturer warranty to ensure your printer is kept in top working condition. Utility strap for improved storage and handling. 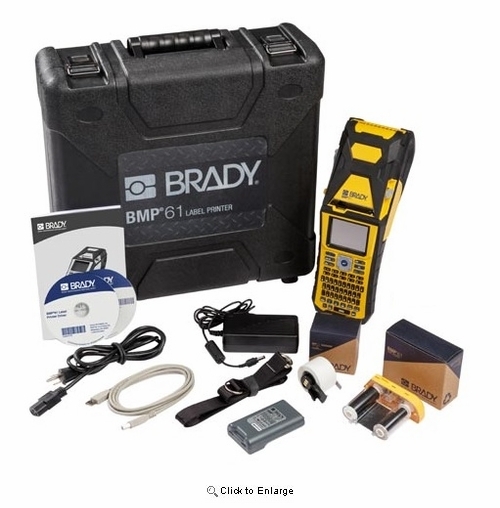 Kit includes: Printer, AC adapter/battery charger, NiMH rechargeable battery, USB cord, utility strap, hardcase, PTL-19-423 label material, M61-R6010 ribbon, Quick Start Guide and Driver Disks.